During my youth, I caught the Scalextric bug and saved all my pocket money to buy more tracks and cars. Oh, how I longed for those electronic boxes that added sound FX, and race statistics! 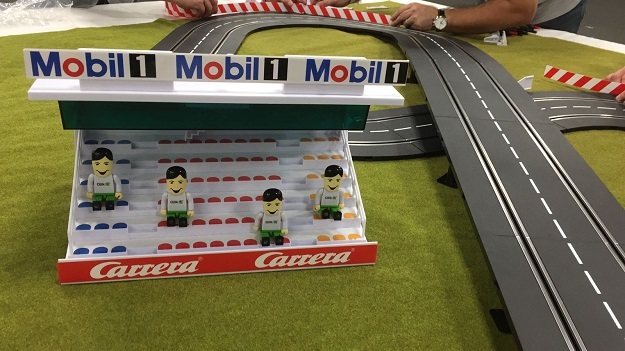 Some clever folks at Qlik have taken that a step further by hooking up sensors and Wi-Fi chips to a Carrera race track & cars and feed all that data into Qlik. It’s a wonderfully fun example of how Qlik can be used within an IoT ecosystem. 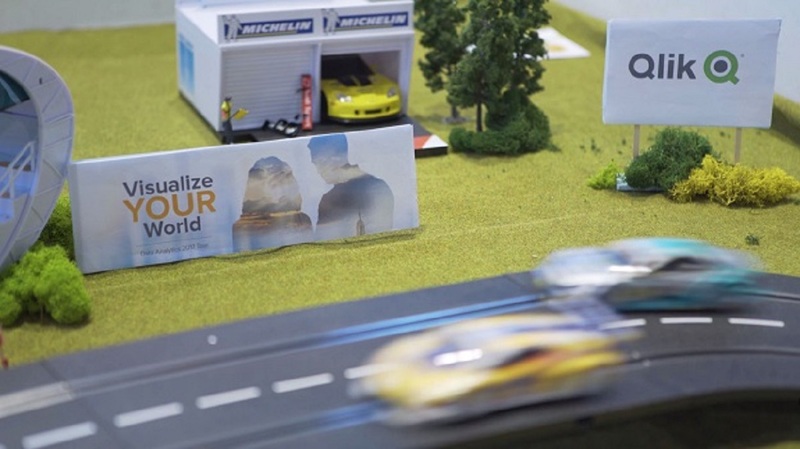 Attendees of Visualize Your World 2017 in NL and UK could join in on the fun and try their hand at racing their favorite car around the Qlik Carrera race track under the watchful eye of several Sven's. First, they had to answer a series of multiple-choice questions about Qlik using a Qlik Sense app. These answers were scored and the total gained dictated the overall power level of their car on the race track. A higher score equaled more power when pressing the trigger all the way down. A lower score meant less power, so Points Make Power here. Sensors measured the number of laps, lap times and engine power and all this data was sent to Qlik in a mash-up to display the times and a leader board. There’s nothing like friendly competition to spark enthusiasm! During both events I saw the track stand swamped with people eagerly awaiting to show off their racing skills. 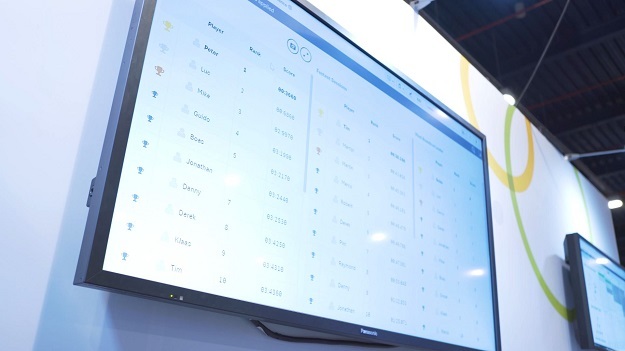 The complete setup is driven by Qlik's platform and APIs, Embedded analytics are used in mash-ups to display near real time data on the leader board screens. I managed to catch up with one of the creators of the race game, Daniel Lumkeman, to gain further insight. For the techy geeks like myself out there here's what’s going on under the hood. The tech involves ESP8266 Wi-Fi enabled chips with reed magnetic pulse sensors. Sensor data is sent over wifi via MQTT (a lightweight messaging protocol designed for long life and low power), where an operational layer translates it to two streams; a web sockets node.js app to manage real-time data, and a mongoDB stores the sensor data at rest. Qlik is used to analyze the data in mongoDB and visualize it as the score board and other statistical race information. This is the aim of the game, supporting people with software driven insights. When I asked what the future could hold for the Qlik IoT Race game Daniel said the options were limitless, but he was looking at adding more sensors to the track and cars. Such as infrared and gyro sensors to measure and analyse location, speed and acceleration points at every stage, including losing control and spinning off the track. By using Qlik's Advanced Analytics Integration with statistical engines such as R, it would be possible to create algorithms for the average speed and power required for safe and unsafe cornering. Qlik could analyse when there is a risk of a car spinning out of control and if the power level is too high, a warning could be enabled to tell the driver to slow down. e.g. using an API call to make a sign light up on the track or even a mashup displaying a dashboard with the optimum power and speed vs actual power and speed. That’s Augmented Intelligence in action, machine intelligence, pure logic, guiding human synthesis, a bit like Spock and Kirk working together exploring the galaxy. 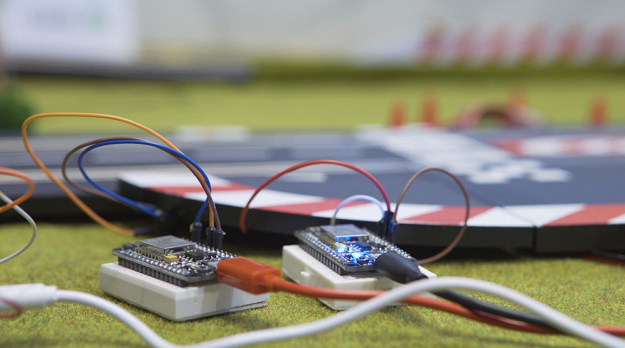 Missed the IoT Race Game at Visualize Your World? There is another chance to see it in action on the 15th &16th November at Big Data LDN in London, UK where it will be on show again. It would be great to see you there. Stop by the Qlik stand 515 and come get your Game ON! Our battle cry is Game ON! When the #Qlik IoT Race Game came to #VizYourWorld 2017 UK&NL attendees joined the cry & got their Game On!